When you find yourself trying to fight off an illness, or you feel like you have no energy, intravenous (IV) nutrition could give your health a boost. 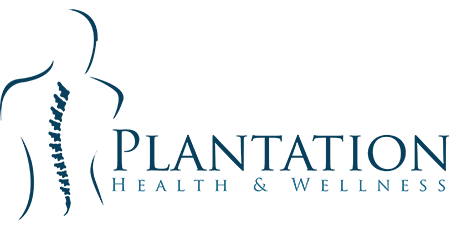 IV nutrition is one of a range of therapies provided by Plantation Health and Wellness in Plantation, Florida. If you’re feeling low, find out more about the benefits of IV nutrition by calling the office today, or book an appointment online. IV nutrition is a treatment method that involves injecting carefully balanced vitamin and mineral infusions into the patient’s bloodstream. Injecting these essential micronutrients into the blood could help correct deficiencies in the diet that are causing fatigue and other symptoms. It’s believed that injecting the vitamins might be more effective than taking oral supplementation that can pass unabsorbed through your digestive system. Why might I need IV nutrition? One of the reasons dieticians and other healthcare professionals recommend a varied diet is to ensure you get enough essential micronutrients - the vitamins and minerals that are essential to your health. If you don’t get enough of any of these substances in the food you eat, you may start experiencing symptoms of deficiency, some of which can have serious health consequences. It’s possible that a large proportion of the nutrients we consume don’t get absorbed through digestion, even in people who do eat a well-balanced diet. IV nutrition ensures that 100% of the vitamins and minerals go straight into the bloodstream, and it helps avoid the risk of digestive problems experienced by certain patients if they take high-dose vitamin tablets. Can IV nutrition help with chronic health problems? Considerable research is taking place to determine how IV nutrition helps with specific health conditions, but there’s plenty of evidence from satisfied patients who have had the treatment and felt an improvement in their health. How is IV nutrition administered? Before you start any form of treatment, your provider looks in detail at your medical history and current symptoms so that they can mix up the most appropriate blend of vitamins and minerals. They then mix the selected blend of vitamins into a salt solution that helps absorption in the blood. Your provider inserts a needle called a cannula into a vein in your arm, which you should feel like no more than a brief stinging sensation. The vitamin solution drips into your blood over the next half hour or so while you lie back and relax, and when it’s finished, you can carry on with your normal routine. To find out more about how IV nutrition could help you regain your energy and feel stronger and healthier, call Plantation Health and Wellness today, or book an appointment online.